Carsten Spohr has been Chairman of the Executive Board and Chief Executive Officer of Deutsche Lufthansa AG since May 2014. 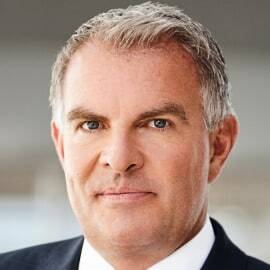 He has been a Member of the Executive Board of Lufthansa Group since January 2011 and held various management functions in the Lufthansa Group since October 1994 including CEO of Lufthansa German Airlines as well as CEO of Lufthansa Cargo AG. He completed a management training course at Deutsche Aerospace AG before pursuing his career at Deutsche Lufthansa AG. Lufthansa captain´s license for the aircraft of the Airbus A320 family.